Hallmark is wrong. Love isn’t pink or red. It’s the silver fizzy flame of a flowering sparkler; hot petals falling on skin. Love is a binding, biting chain and hair streaked with sorrow. The photo is from http://www.jiifii.com/. yeah, a lot of sparkles and fire risk with love. enjoyed. Thanks! The sparkles are what makes it exciting. Ouch… as is often the case, the truth, like love, hurts. Truth and love are both worth the pain. The only love I’ve ever had in my heart, fulltime, has come from my wife and three daughters. They all have blue eyes. Maybe that’s the color of it, for me. I bet lots of people would have different colors to describe love, the color of your wife and daughter’s eyes sounds like a perfect choice to me. Hallmark should totally make a card on this concept…you open it up and it jolts you with an electric shock. No? Good thing I’m not in marketing, then. I like the idea of a card that electrocutes the reader. A little jolt is good for people, makes them think. What a unique view of love and actually is quite good, and very accurate. It is both beautiful and painful often at the same time. I think you can’t have love without at least some pain and hard work. Happily ever after never really happens. Both very realistic and poetic! Yes, love is not what fairy tales show us. Fairy tale love fascinates me. Or maybe it is the people who believe in it that fascinate me. I think about it a lot. I wrote a short story fairy tale types story a while back that you might like. This is all kinds of fabulous. Every word, every image, every metaphor, every sentiment–an utterly delicious read! Thank you! Your comment made my eyes all misty. I needed that. Hallmark really don’t have a clue. For each of us, it is different. Thank you for sharing your excellent thoughts, and I hope the sorrow is outweighed by joy when you look back. So far love for me has been more beautiful sparkles and worry about that ones I love, so I am pretty happy with it. The part about the chains is because someone I love has gone back to a relationship that is not healthy several times because of love. She had just told me she had broken up with him again and was leaving when I wrote this, so she was in the front of my thoughts. I hope the break up sticks this time and that next time she picks someone better. It makes me so happy when people like something I write. I had thought of starting my own greeting card company. Hand made cards, made uniquely for each individual. I like doing paper crafts and writing little poems. My friends sometimes get handmade cards from me. Maybe someday I will do it as a business. But I know from experience that each new business I start I lose interest in pretty quickly. Writing is the only thing I always want to do. I love how you removed the sugar coating of love and just gave it as you see it. The sugar coating gets people into trouble. Looking for a disney prince charming is never going to work out in the long term, but someones it seems like no one wants to admit that. the color of love, so many shades. but compared to a sparkler? i have to say, quite original and well put. 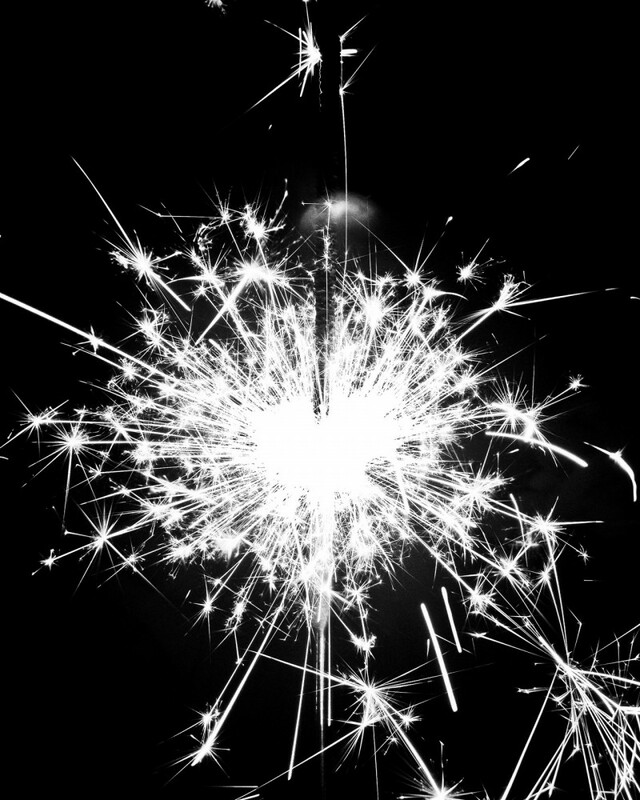 I remember when I was a kid, how sparklers were so beautiful, but they also hurt a little. I wanted to throw them down and hold on to them as tightly as possible at the same time. Love this imagery–especially the last line. Beautifully done. Stunning! So vivid and intense – kind of like love. 😉 Excellent writing! I’d say lots and lots of sparklers, is love. Good representation.